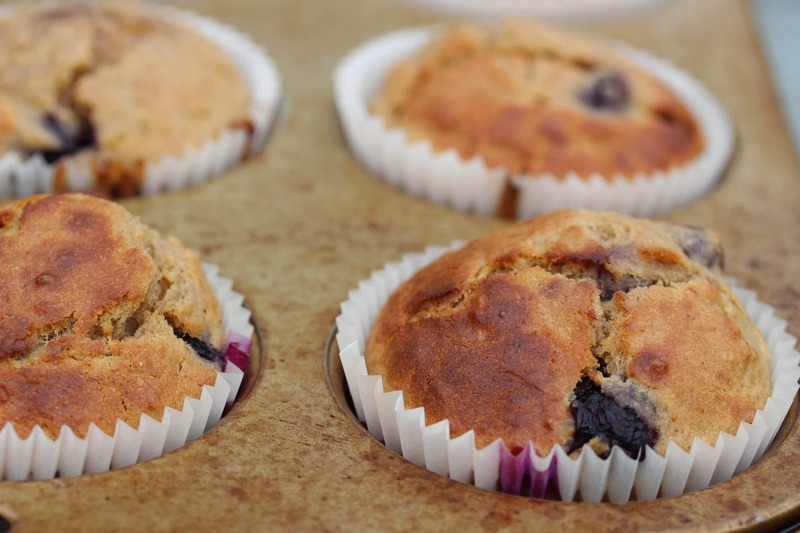 Gluten Free Blueberry Muffins (Low Sugar) | The Free From Fairy. These gluten free blueberry muffins don’t need much of an introduction. 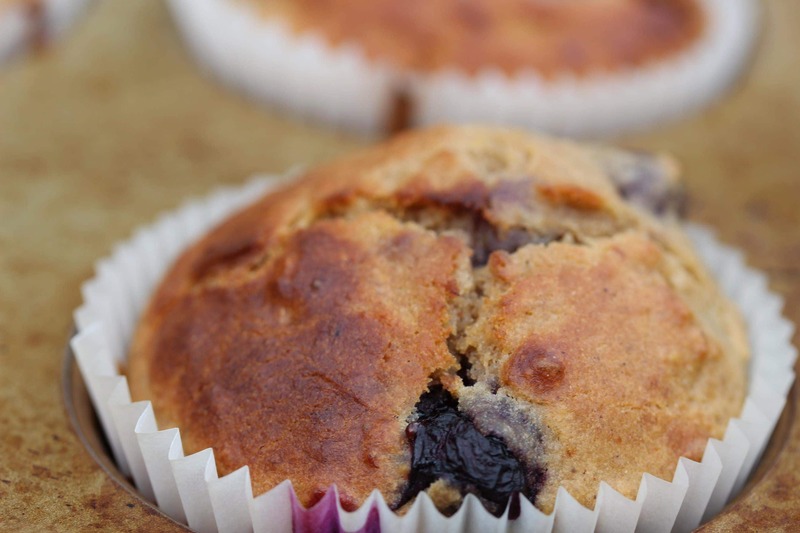 What’s not to love about a muffin that’s bursting with vibrant blueberries and wholegrain goodness? Shop bought gluten free blueberry muffins are usually packed full of sugar and other odd ingredients. 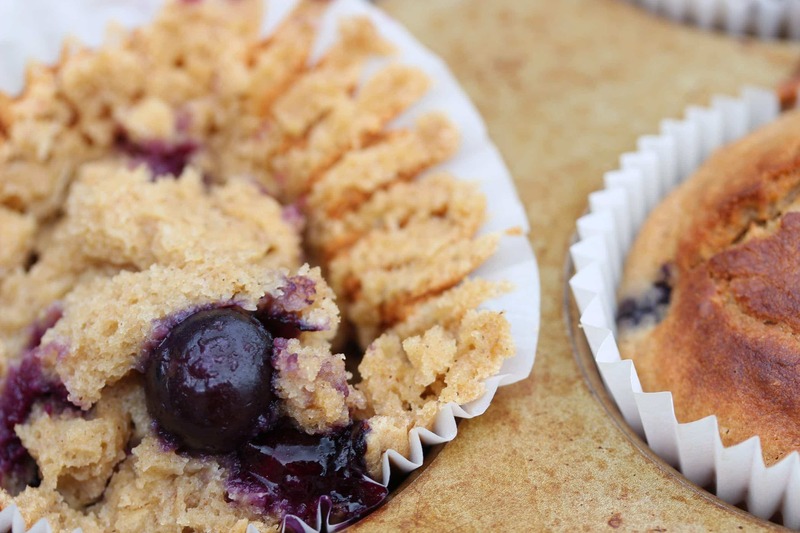 And indeed, most recipes for gluten free blueberry muffins are very high in sugar too. Now, if you’ve been following my blog for any time you’ll know that I try not to eat too much sugar. I also try to restrict what the children eat (which is tough). Why? Well, because there is so much evidence that sugar causes all manner of ills mainly, I believe, by disrupting the balance of our gut microbes. I’ve therefore reduced the sugar right down in this recipe, along with including banana and my wholegrain gluten free flour blend. The beneficial bacteria in our gut need fibre to survive and thrive. However, recent reports suggest that most of us eat too little fibre. 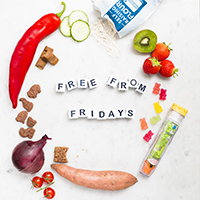 The recommended amount for adults is 30g per day but a recent survey showed that most people were only eating around 18g per day. Tomorrow I am going to be showing people at the Exeter Festival Of South West Food And Drink how to make these. I’m giving the demonstration with Midfields Granola who make a delicious gluten free granola. I’m therefore going to top them with a sprinkle of that for additional crunch. Without the granola each cupcake has just 4g of coconut sugar in. Of course the banana and blueberries also have sugar in, but the added sugar is just 4g. Not bad eh? I reckon I could almost justify having one for breakfast! If you’d like to find out more about the essential oils that I use in my cooking then arrange an appointment for a free video or phone consultation below. I can help you to understand how essential oils can be used for health and wellbeing and address any specific issues you may have. Pin the recipe so you don’t lose it! 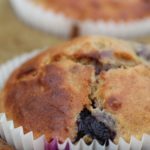 I’m not a fan of blueberries but I do love them in muffins and these sound great for a breakfast treat. Mmm…I agree on the breakfast front!